China launched an attack on smaller maritime neighbours contesting their China's claims over the South China Sea. In a stern message to its neighbours, China on Saturday said it is determined to defend “every inch” of its territory and there was “no room for compromise” with Japan over territorial or historical disputes. “We will not take anything that is not ours, but we will defend every inch of territory that belongs to us,” Chinese Foreign Minister Wang Yi told mediapersons here in his annual press conference on the sidelines of the ongoing National People’s Congress (NPC) session. There was no direct reference to India in his press conference, while he launched a frontal attack on Japan and made strong comments about smaller maritime neighbours who contest China’s claims over the South China Sea. There have been frequent border incursions by Chinese troops into Indian territory and China also claims Arunachal Pradesh as Southern Tibet, part of the dispute over the 4,000-km Line of Actual Control between the two countries. “We will never bully smaller countries, yet we will not accept unreasonable denunciation from smaller countries,” he said regarding China’s neighbourhood diplomacy, especially in the South China Sea. The Philippines, Vietnam, Malaysia and Brunei question China’s claims of sovereignty over a host of islands in the South China Sea which in recent months has escalated with the US lending its voice to their demands. Wang said that the general situation in China’s neighbourhood remains “stable and positive”. He said that China would like to carry out equal-footed consultation and negotiation, and properly handle its territorial and maritime disputes with some countries by peaceful means on the basis of historical facts and the international law. “There will not be any change to this position,” he said. “We will more actively practise our neighbourhood diplomacy guideline of amity, sincerity, mutual benefit and inclusiveness.” He said China would also allow more of its neighbours and peoples to benefit from the reform and opening up of the world’s second largest economy. “We are also willing to listen to the voices from our neighbouring countries and respond to the doubts about China’s neighbourhood diplomacy,” Wang added. Referring to Sino-Japanese relations damaged by the raging dispute over the islands in the East China Sea, Wang said, “On the two issues of principle, history and territory, there is no room for compromise”. The minister’s remarks highlight the mounting tension between China and Japan over territorial and historical rows. 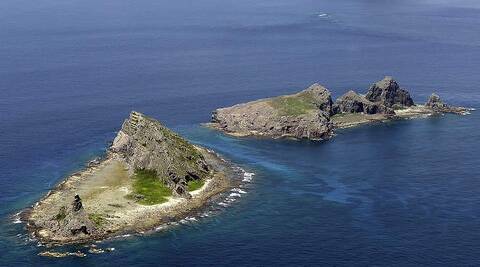 Relations between the two East Asian giants have hit a new low since Japan’s “purchase” of the Diaoyu/Senkaku islands in September 2012. The dispute with Tokyo is particularly tense given historical animosities between the two nations over Japan’s invasion of China during the second world war. Wang said that if Japan insists on overturning the history of its past aggression, the international community would not tolerate or condone it.